This villa built in 1880 became famous for being the home of the aircraft designer Ernst Heinkel. 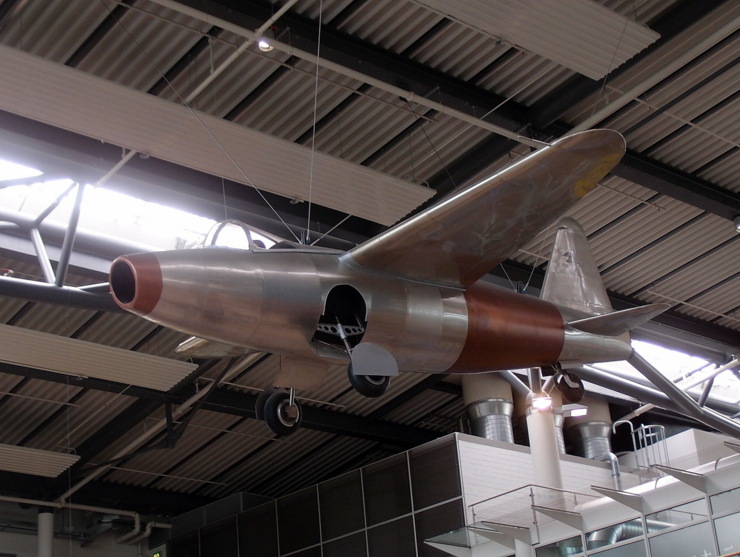 One of his designs was the Heinkel He 178, the world’s first turbojet aircraft and jet plane. 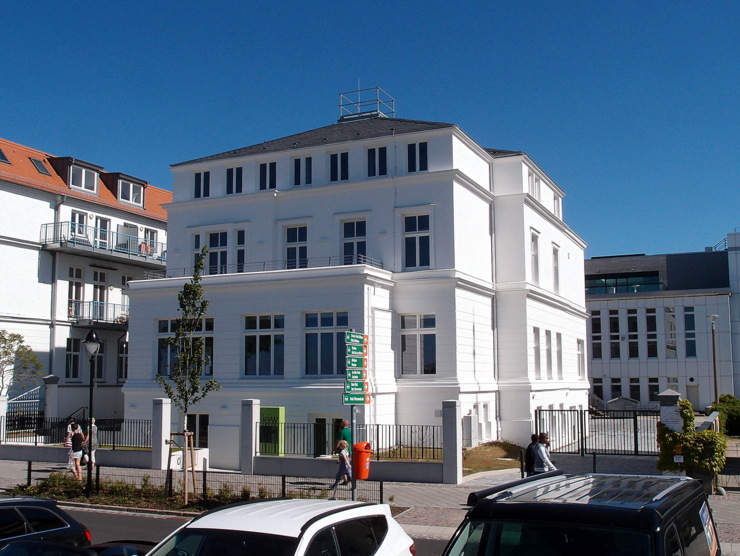 Today the villa is part of the Leibniz Institute for Baltic Sea Research (Leibniz-Institut für Ostseeforschung). 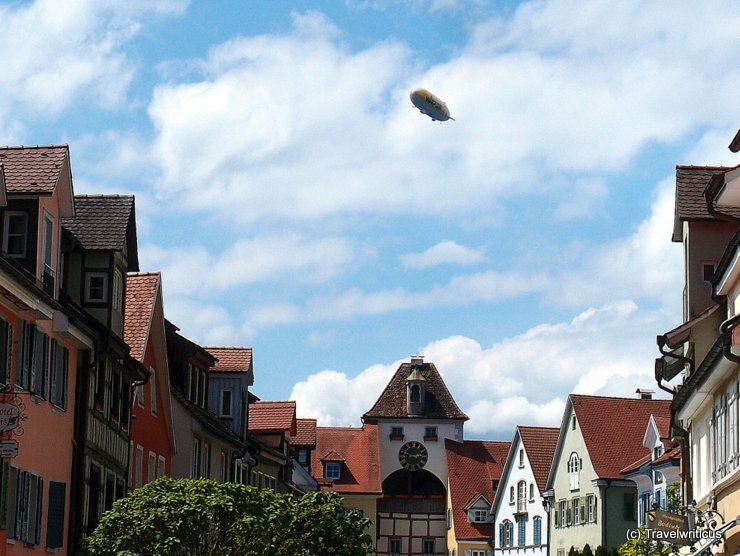 This replica of a Heinkel He 178 is fixed below the roof of the Rostock-Laage Airport in the German state of Mecklenburg-Vorpommern. The He 178 was the world’s first aircraft to fly under turbojet power. 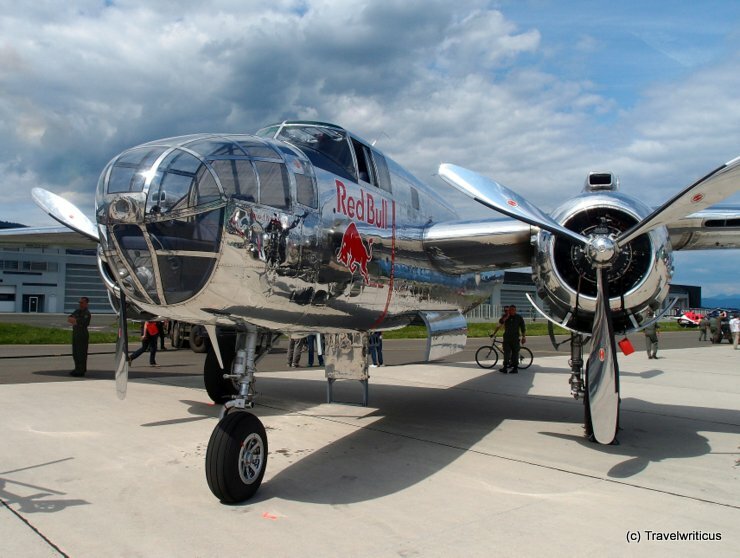 Its maiden flight was on 27th August 1939. 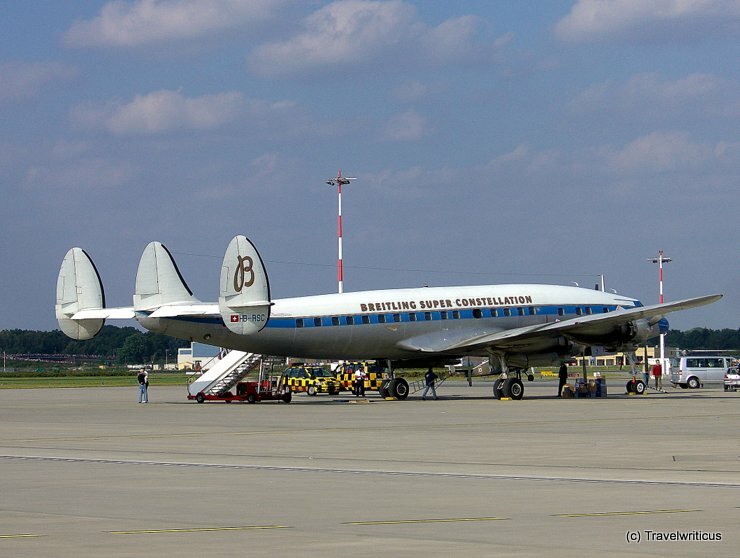 On the Hamburg Airport Days I came across this exemplar of a Super Constellation. It’s a beauty, isn’t it?